WOW it’s hot. This has been a true summer with notable record-breaking temperatures. 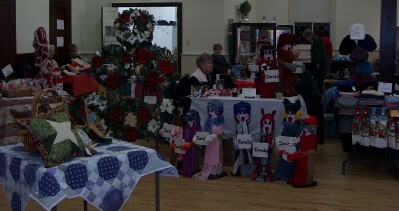 We hope you’ll come to visit us at the Guild Hall to enjoy a cool visit with our group at the Makers’ Market. Take pleasure in the creativity of our craftspeople and artisans. 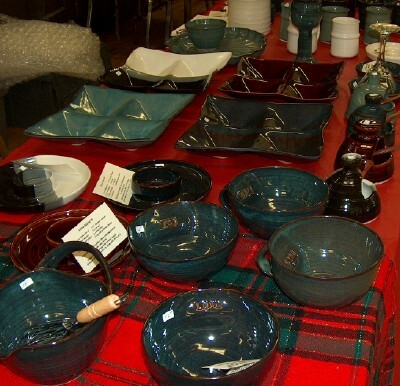 You’ll find unique treasures of delightful pottery, soothing soap, and hand-crafted jewellery. To add to the finds you will see aprons, knitted sweaters, handbags, baby items and dog treats. Savour the aroma of fresh cinnamon buns, a breakfast sandwich or take home a pan of lasagna from Lucy’s Café . We warmly welcome Karon Designs to our 2011 season. Karon, one of the original artisans with the Makers’ Market, brings unique handmade jewellery designs using precious metals and natural materials. Our thanks to both vendors and visitors who are making this market Port Colborne’s most exciting ongoing community event. It’s just about time for some nice warm weather and the month of June brings us a promise that summer will soon be upon us. If you have the opportunity to visit us at the Markers’ Market, you will find a medley of crafters, bakers and cooks with items that express their unique creativity. Enjoy a walk about the Guild Hall to visit previous vendors and new ones. We invite you to come and meet us.